Be the first to share your favorite memory, photo or story of Dr. Victor. This memorial page is dedicated for family, friends and future generations to celebrate the life of their loved one. Dr. Victor J. Vorhees, 81, of rural Fredonia, Kansas passed away Friday, September 7, 2018 at home with family by his side. Dr. Victor J. Vorhees was born October 3, 1936 in Holyrood, Kansas the son of Victor Rodney Vorhees and Inez Marie (Wilson) Vorhees. On October 8, 1955 in McPherson, Kansas he was united in marriage to Jean King and she survives at the home. Dr. Vorhees graduated from Central Academy in McPherson, Kansas in 1954. He received his Associates of Arts Degree from Central College in McPherson in 1956. He went on to further his education and obtained degrees in (B.S.) Bachelor of Science (Biology, Education) from McPherson College in 1957, (M.S.) Master of Science (Natural Science), from Oklahoma State University in 1961, (M.D.) Medical Doctor from University of Kansas School of Medicine in Kansas City, Kansas in 1968 and Residency in Family Practice from Wesley Medical Center in Wichita, Kansas in 1968 to 1971. He worked various places including Teacher of Biology, Chemistry, Physics, Earth Science and General Science at Lindsborg High School, Lindsborg, Kansas from 1957 to 1960 and 1961 to 1964. He was Instructor in Principles of Biological Sciences and Principles of Physical Sciences at Bethany College in Lindsborg. In the summers of 1963 and 1964 he was Laboratory instructor in Radiation Biophysics, at the University of Kansas, in Lawrence, Kansas. He later began working as a Family Physician with Family Physicians Professional Association in Wichita, Kansas from 1971 to 1984. He was also a member of the active staff at Wesley Medical Center during that time. Dr. Vorhees was Faculty and Co-Director of Family Practice Residency from 1971 to 1980. He served as Senior Vice President for Medical Affairs and Medical Director, at Health Care Plus, in Wichita from 1984 to 1985. He commenced in association with Ashley Clinic in Yates Center, Kansas as a Family Physician from 1989 to 2000. He was a part of the active staff at Neosho Memorial Medical Center. Beginning in July 1, 2000 he was a Family Physician in Fredonia, Kansas. 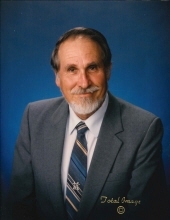 Dr. Vorhees held many honors and certifications. He was elected to Alpha Omega Alpha (Medical Honor Society), a Charter Diplomate of the American Board of Family Practice, a Charter Fellow American of the Academy of Family Physicians, a Member of the American College of Physicians Executives, Member American Academy of Family Physicians and licensed to practice medicine and surgery in Kansas. He also had a cattle operation in Fredonia from 1986 until present. Dr. Vorhees enjoyed working, debating with others, nature and science. He will be remembered for loving life and was blessed to care for people. His spirit lives on through his teachings, his family and all he touched. Survivors include his wife, Jean of the home, children, Rod Vorhees and his wife Joni of Fredonia, Kansas, Beki Spurrier and her husband Gary of Tuscaloosa, Alabama, Jacqi Masingale and her wife Tina Ball of Clarkston, Washington, grandchildren Tom Vorhees and his wife Meghan of Fredonia, Kansas, Dani Bracken and her husband Keaton of Fredonia, Kansas, Nick Spurrier and his wife Mel of Dallas, Texas, Rachel Spurrier and her fiancé Nate of New Yok City, New York, Marshall Masingale of Clarkston, Washington, Zach Campbell-Ball of Clarkston, Washington, Josh Campbell-Ball of Clarkston, Washington, great grandchildren, Morgan and Taitum Vorhees and Kenidee and Kade Bracken. He was preceded in death by his parents and sister, Judy Bales. Celebration of Life Memorial Services will be held 2:30 P.M., Friday, September 14, 2018 at Wickham Family Funeral Home, 510 N. 7th, Fredonia, Kansas. Memorial remembrances are suggested to Kindred Hospice or Old Iron Club (Education Exhibit) and they may be left or mailed to the funeral home. To send flowers or a remembrance gift to the family of Dr. Victor J. Vorhees, please visit our Tribute Store. "Email Address" would like to share the life celebration of Dr. Victor J. Vorhees. Click on the "link" to go to share a favorite memory or leave a condolence message for the family.